Our next stop on this first day in southern Tuscany had to be the seaside which, at a natural beach near Pescia Fiorentina was blissful with wavelets massaging our bodies into utter relaxation. We could not believe that we found a seaside place in Italy which was not overrun by masses of people escaping towards their Ferragosto. Yes, such havens of peace do still exist by the coast. We returned via Marsilia where we attended a sagra dei Pici, a sort of thick long spaghetti, characteristic of the area of southern Tuscany, Val d’Orcia and Val di Chiana. What’s interesting about Pici is that they are all of different lengths, unlike your standard spaghetti. Pici are made with water, flour and a few eggs. The classic seasoning is with aglione (tomato sauce with a very special type of large garlic with only four segments, grown in the area.) I was a little wary of trying the aglione and instead chose a more standard ragù. However, next time in the area I’ll truly settle for the Pici con aglione. 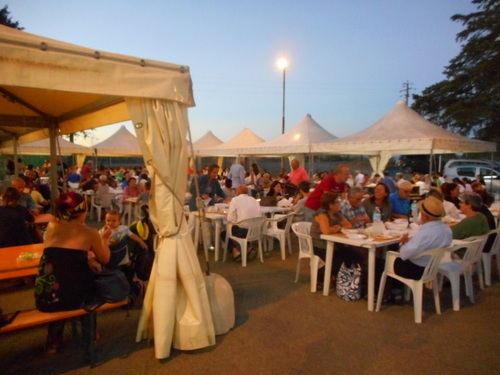 The sagra was very convivial with a characteristic large and loud gathering of families and friends. Our evening concluded with fine theatrical performances by a band of travelling actors who enacted family reminiscences in Manciano’s castle keep in true Shakespeare-wallah style with three generations of the same family. How wonderful that these traditional players, so famously described in ‘Hamlet’, are still active in Italy. The main play had its tragic tales shot through with harrowing war experiences so the players decided to send us home with a little farce or ‘intermedio’ (yet another Italian tradition – for example in opera seria too). Uproaringly hilarious, it concentrated on that Italian obsession with food, or how it should be presented. We didn’t get home until after 1 am, thoroughly pleased with our first day in the southern Maremma of Tuscany. ‘La Sagra delle Crisciolette’ at Cascio which I attended a couple of evenings ago is a delight. We always seemed to miss it but this time with friends we finally made it! Cascio is a charmer of a village with a great ambience and is famous for its unique criscioletta, a sort of pancake made with yellow (maize) and white flour, topped with a couple of slices of bacon and then cooked between two ferri (toasting irons) which have been greased with lard over a fire. The bacon melts its fat over the flour and thus binds the pancake firmly together. 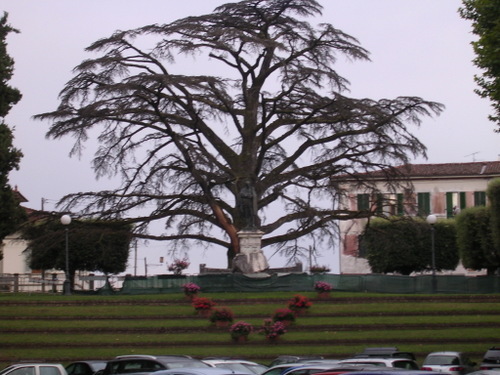 I’ve described the town of Cascio and its history in some detail at https://longoio2.wordpress.com/2015/08/21/the-cascio-criscioletta/ . 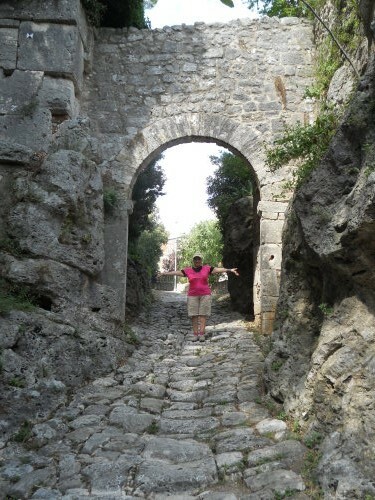 You’re welcome to read there how Cascio got its impressive town walls, turrets and gateway. From being the food of the poor the criscioletta has been turned into a much-prized dish of the Garfagnana. The sagra has been going since 1969 and is now more flourishing than ever having been moved from the sports ground to the historic centre of the town, adding considerably to its atmosphere. It’s best to arrive at Cascio by 7 pm so that one can admire the old town and enjoy the extensive views of the Serchio valley with the Apennines on one side and the Apuan range on the other. It’s also a good time because you can find a parking place with (relative) ease. One is then directed to the cash desk where one can order food and drink. We decided on a platter which included a criscioletta, ham, salami, cheese plus some beer. Having found our table we then queued up with our food vouchers and collected the scrumptious vittles. Above us, on top of a terrace, the crisciolettari (crisciolette makers) were all in a line, busy making the pancakes topped with bacon slices which were then delivered to the general populace via a chute. It was great fun, in addition to see the children play on the bouncy slide, and to generally people-watch. The views from the ‘terrazza dell’Ada’, on the base of one of the four towers which mark the quadrilateral marked by Cascio’s 16th century walls were extensive and a warm sunset glow permeated the Garfagnana valley. We took a digestive walk around the town after barely managing to devour the contents of our brimming platter. It was so filling! There was a beautiful photographic exhibition inside the main gateway by La Spezia-born Iris Gonelli, an engineer working at a nearby biopharmaceutical factory, who clearly loves travel and has a striking eye for taking spectacular photographs. Most pretty were the flowery decorations set up by the local children at various points of the town. At the top of the town was another row of crisciolettari busy at their crisciolettian task. A folk-rock group was getting ready to play a selection of traditional melodies from the Lucca hills. It must have been hot on that hot evening on the grills! Some sagre provide less than spectacular food, other sagre are overcrowded with insufficient eating space. Cascio’s sagra is just right. Excellent seating, spectacular views, lovely town, friendly people and most of all that irresistible criscioletta, truly worth travelling half the globe (or at least the Lucchesia) to savour it, whether with bacon, cheese or even with home-made Nutella! The sagra continues from the 5th to 7th August and is open from 10 am until around midnight. Don’t forget that Cascio also hosts a brilliant chestnut festival in autumn. For much of its length in Mediavalle and Garfagnana the river Serchio has roads on both its banks. For example, if one is going from Bagni di di Lucca to Lucca one can either take the Brennero route on the left bank or the Lodovica route (named after the last duke of Lucca) on the right. Similarly, going from Bagni di Lucca to Castelnuovo di Garfagnana, the next major centre going north, it’s possible for much of the way to choose the route through Fornaci di Barga (an excellent shopping centre) or Gallicano (with its Conad superstore). However, there’s a joining of the two roads at Ponte di Campia when just one route goes through the narrow gorge on its way to Castelnuovo di Garfagnana. Nevertheless, from Gallicano there’s an alternative route to Castelnuovo which takes one over the top of a spur which has several delightful village clinging onto it. I’ve described two of these, Palleroso and Perpoli, at https://longoio2.wordpress.com/2014/11/24/rosy-straw/ and https://longoio.wordpress.com/2013/09/30/precipitous-perpoli/ and others, including Bonini’s excellent restaurant, at https://longoio2.wordpress.com/2014/10/01/saint-anthonys-pastures/. One place I haven’t yet described is Cascio which lies just a little to the left of the ridge road. Cascio forms part of the comune of Molazzana and has around three hundred people living there. It’s one of the oldest villages in the area and its name is supposedly derived from the Latin, Fundus Cassii, which points to the founding of the settlement by a retired Roman centurion (as is often the case with several villages in our area). The walls around Cascio were built as a result of various wars between the Estensi and Lucchese at the start of the the seventeenth century. In 1603 the town was conquered by Lucca. It was then re-captured by the Estensi (from Ferrara) and the inhabitants were forced to build the walls as a result of their supposed cowardice in ceding Cascio to the Luccans. Cascio was in another war in 1944-5 when it stood on the second gothic line. Some buildings were damaged as a result. We’ve been to Cascio’s most notable event, the sagra Della Criscioletta, which take place at the end of July and start of August. Indeed, as part of Expo 2015, there’s been a presentation of the Cascio criscioletta there too! But what is a criscioletta? It’s a sort of pancake made from maize flour, water and salt. It’ cooked on a heated, locally made, steel base. Adding bacon or cheese greatly enhances its flavour. 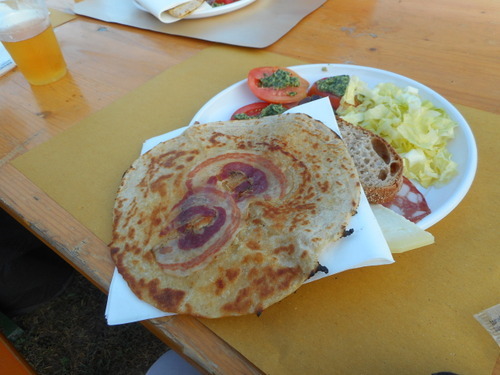 Until a short while ago the sagra Della criscioletta was held in the sports centre to the right of the ridge road. This enabled everyone passing on that route to see the festival but it wasn’t particularly atmospheric. For a few years now it’s held in the actual village itself and has gained greatly from the picturesque surroundings. We’ve never been to the relocated sagra but fully intend to do so next year when the village is also characteristically decorated – not one week late like this year when these photographs were taken. There’s a facebook page on Cascio at https://www.facebook.com/pages/Conoscere-Cascio-in-Garfagnana/392604264157943 which will keep one informed on events there. Next day’s itinerary took us first to Scansano, famous for its Morellino wine. The hilltop town is also very attractive and we enjoyed a welcome break here. There is an interesting museum with a collection of Etruscan items and a section on wine-making. The “little waterfalls” were gushing and despite the number of people enjoying the warm waters we too found a place and for about half an hour I had the pleasure of a hot waterfall pouring over me. The waterfalls are free which is not the case with Saturnia terme, an exclusive hotel and golf course complex we skirted on our way to the actual town of Saturnia, which is quiet and attractive. Near Saturnia is a jewel of a hilltop town, Montemerano, happily free from those busloads of tourists that infect those other attractions of Tuscany like San Gemignano. The parish church is quite beautiful and contains a number of valuable pictures including a Lorenzetti. The church also has a quaint Madonna called the Madonna della gattaiola or the cat-flap Madonna. The story goes that a priest needing a new door for his house found a plank of wood with a discarded portrait of the Madonna on it. Being also a cat owner the priest decided to use the panel with one small modification, – a round hole in the bottom right of the painting which one can still observe today to serve as a cat-flap. This is surely a prime example of a picture that is admired for something that is missing from it! Our journey now took us towards the coast. We wanted to experience the fun of crossing the two tomboli that have roads on them out of the three that connect Monte Argentario to the Italian mainland. In one of the two lagoons a windmill had been built. 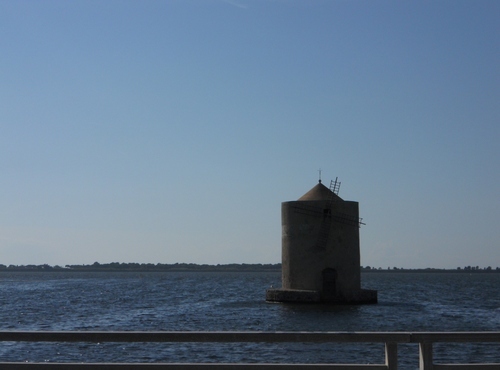 Orbetello is a fine old town and famous for the pioneers of Italian flying boats. Monte Argentario is a beautiful place. Once an island, it now hosts marinas and a surfeit of time shares and parking is a real problem….it’s not quite our place we decided. Before returning to our hotel we looked into Civitella Marittima (marittima means that the place is in the Maremma, not that it’s near the sea), a nearby hill town. Here the inhabitants were celebrating the Palio of the carretti – or hand-made, non-motorised go-karts This is another example of the inventiveness of Italian palios. I realise that the idea of the Palio is also to release tension between the various parts of a town and avoid such shameful phenomenas as Britain’s (and the USA’s) regular inner city riots. Setting off steam in this way is a great way also to attract visitors and turn the different elements of the town into a real community. We wandered around looking at the stalls and eating Donzelle. 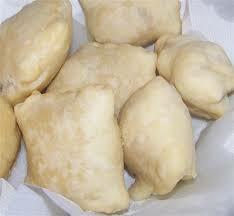 These are not maidens but a variety of delicious fried bread. There were the usual artisan stalls and some less usual fashions displayed. Returning to our base we realised that this was to be the last night in this area before proceeding next morning to Florence. 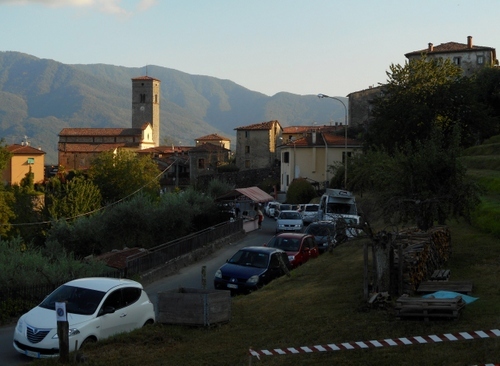 For me Barga in summer is important for two main events: the fish ‘n chip sagra and Barga opera. There is, of course, also Barga jazz but I remain relatively ignorant about this genre and have never yet attended it. Perhaps this August? The fish ‘n chips festival takes place in Barga’s sports stadium just south of the “new” town. It’s great fun to enjoy Britain’s national dish, not under an umbrella on some park bench, as often happened to us in London, but in glorious evening sunshine on trestle tables, in the conviviality of a large company and with the stunning scenery of the Apuan Alps as a backcloth. What is the origin of this Sagra? It’s a well-known fact that, in the last century, with the great waves of Italian emigrants to all parts of the world, many landed in Scotland. Those from Lazio tended to choose Edinburgh and those from Tuscany (and especially Barga) picked Glasgow, where they not only found jobs in industry, but also entered catering in a big way running cafes selling Fish ‘n Chips and Ice-cream. Many emigrants choose to return to their origins upon retirement and became nostalgic about those fry-ups – hence the beginning of the sagra which has now been running for several years and remains as popular as ever. Of course, instead of washing down one’s meal with IRN Bru there’s loads of wine instead, especially white which really goes well with the freshly imported fish. As with other sagras there are alternative dishes, spare ribs for example, but who can resist a fish supper? A suggestion: do bring your own malt vinegar as there’s only mayonnaise and tomato ketchup available to garnish your dish. The other great event in Barga is Barga opera. Founded in 1967 by Peter Gellhorn and Lorenzo Malfatti (although other sources state it was started by Peter Hunt and Gillian Armitage – surely there should be an accurate history written about Barga opera), its performances concentrate mainly on unknown baroque operas and take place in the suitably eighteenth century Teatro dei Differenti with its seating capacity of 289. I’ve attended the opera festival from 2005 when Vivaldi’s Motezuma received a controversial performance since the recently discovered music had to be replaced with pieces from other Vivaldi operas due to a complex copyright dispute which produced an injunction and prevented the original score from being performed. One of the most dramatic moments of that evening was just as the performance was about to begin when a member of the public spoke out from his seat demanding his money back on the grounds that he’d come to hear Motezuma and not a pastiche made up of some of Vivaldi’s other operatic pieces. The vociferous being did remain, however, and I feel he could not have been completely dissatisfied with the excellent performance conducted by that doyen of Vivaldi Opera, Maestro Sardelli. In 2006 the Vivaldi opera was L’Atenaide which, fortunately, had no such copyright problems. It was also a truly magnificent production. I wonder when we’ll see Sardelli again at the Barga theatre and also wonder if that notorious dispute has now been resolved and we can have the original Motezuma performed. All these photographs were taken when I attended these memorable events for the first and second times in summer 2006. There was still that magnificent cedar at the fosso which was sadly cut down the following year as it had become diseased. A new cedar was planted but how old will I have to be to see it fully replace the old cedar. How I miss that tree!